In what was one of the neatest pieces of technology shown at last month's Disney Accelerator in Burbank, an artificial intelligence startup, Imperson (www.imperson.com), showed how it is working on an effort to bring Miss Piggy to life on social media – making it possible for you and I to have a real, life, back and forth conversation with Miss Piggy---and other characters. We spoke with Eyal Pfeifel, Co-founder and CTO of Imperson, about the startup and its technology—which hints at some of the impact technology development might have on Hollywood. 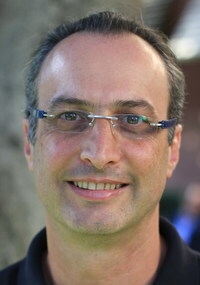 Imperson is based in Israel, but is backed by Disney and has been aiming use of its technology in Hollywood. Tell me what Imperson is all about? Eyal Pfeifel : Imperson develops AI technology for creating conversational characters, that engage with users over messaging, just like chatting with a friend. We create a character that can engage in conversation with anyone, through messaging, have a friendly chat about whatever the character wants to have a conversation about. Tell me about the product you have created with Disney and Miss Piggy? Eyal Pfeifel: We are launching a campaign with Disney around Miss Piggy. We bring her to life over messaging in a social setting. Miss Piggy is already a social figure, with a Facebook page, but she never actually has a chat with user directly. She also did some Twitter work, but not directly, and did not answer users questions directly on Twitter, she just said things. We are going to give users one-on-one, private messages and conversations with Miss Piggy. Talk about the technology behind this, and how is it different that the chat bots you have started seeing crop up? Eyal Pfeifel: The thing that is special about our technology, is the artificial intelligence is actually driving the conversation. The response have to be in character of Miss Piggy. Knowing which response to choose means you need to have context, know where in the conversation you are. Also, Miss Piggy has an agenda, and has to address different goals and topics that she wants to talk about. She also wants to ask questions. That's what our technology knows how to do. It's not just a chat bot that answer questions. It knows how to ask you questions, how to bring you into the Muppet world, not the other way around. It looks like you have to do a lot of content work behind the scenes? Eyal Pfeifel: There is content work, but it's not insurmountable. It's not that you have to spend years and years doing a character. Currently, to have a representative character, it's not too difficult. How was the experience with the Disney Accelerator for you? Eyal Pfeifel: It really gave us an opportunity to engage with Disney executives, in all ranges of business units. That's something that is impossible outside the accelerator. We actually had access to anyone in Disney, and everyone was very open and supportive in what we were trying to do. Eventually, we also signed two deals to do the Muppets and hopefully things in the future.